Aren't these nails great? And I'm not just saying that because I created them. The color underneath is absolutely perfection. 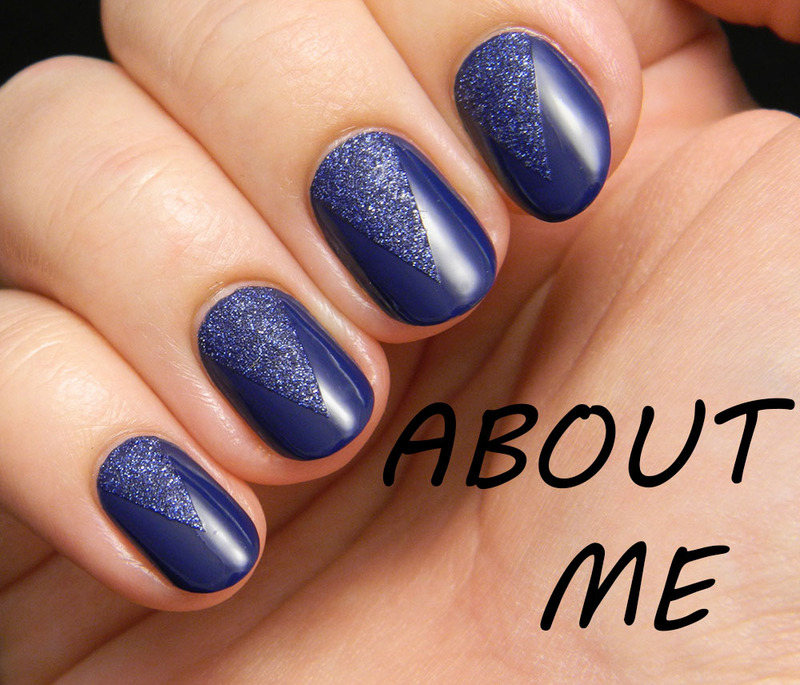 It comes from Kiko and it's number 294 Indigo, a bright blue creme that I absolutely love. It applies like a dream in two easy coats. I couldn't wait to use this one again because it's been almost a year since I first got it. 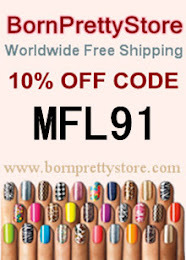 For someone with a large polish collection like mine, it often happens that I use a polish one time and then forget about it. This one however can't be ignored for too long. 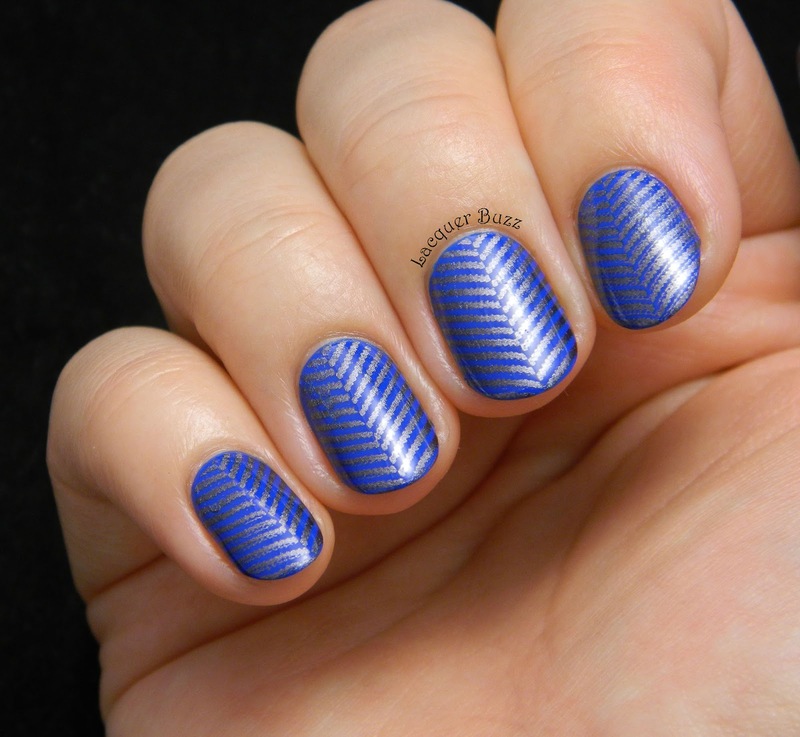 The image I stamped is from plate CH8 and it has a cool chevron pattern. It's a bit tricky to stamp because you have to place the pointy part of the chevrons in the middle, but even if you stamp it a little crooked it won't be that noticeable. My left hand wasn't nearly as perfect as my right one but I still loved the final look. I used China Glaze Awaken from the Romantique collection for the stamping. It's a dark silver foil that stamps perfectly. 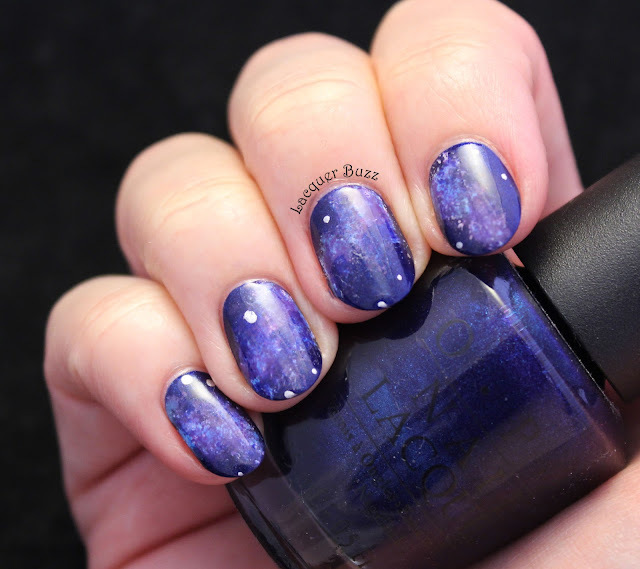 This manicure was on my nails for most of last week. 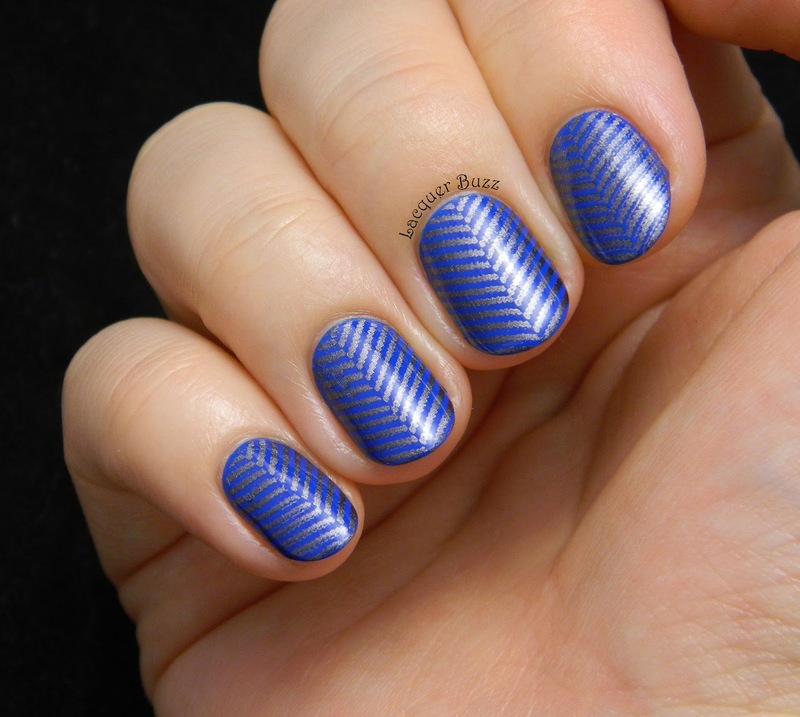 I feel that this kind of simple nail art is my trademark (blue base with stamping). It's what I am most comfortable with and would always wear. 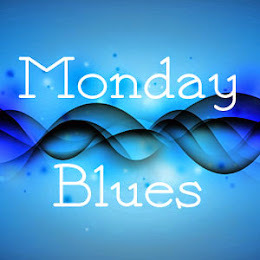 I hope you like it too and don't forget to check out the other Monday Blues from this month in the links below. Love it! The chevron looks awesome!